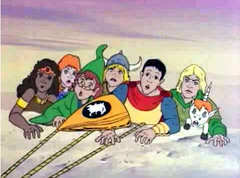 Yesterday I remembered that cool cartoon Dungeons and Dragons, which apparently was considered the most violent kids tv show in the US at the time. I’m sure there’s far worse out there today. Anyway, the kids in the cartoon were each armed with a magical weapon of some kind or another, so this week I want to find out which of the weapons you would most like to have for yourself, if magic bows that fire infinite fiery arrows and invisibility cloaks were real of course. Which of the D&D kids weapons would you like to have? During the 1980’s there was a craze for role playing games, probably the most famous of which has to be TSR’s Dungeons and Dragons. The game was so successful it spawned a cartoon series, which at the time I thought was just a cool TV series and I had no idea of its original roots. The cartoon title sequence (which you can see at the end of this post) explains what’s going on quickly and concisely. Â Six kids board the Dungeons and Dragons ride at an amusement park, but find themselves hurled into an alternate world, the Realm of Dungeons and Dragons, where each is gifted with a variety of different powers. Hank, the eldest, becomes the leader and becomes a ranger, armed with a magical bow that fires magical fiery arrows. Â Next is Eric, the wise cracking coward, who is classed as a cavalier, and armed with a shield that can generate force fields. Bernard Matthews Turkey Drummers… Bootiful! Picture this. 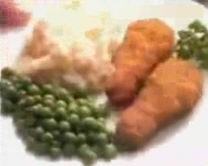 As a child, you’re outside playing and your Mum calls you in for dinner. After ignoring her a couple of times you finally come in when you’re told it’s getting cold, so you run inside and sit to the table to find Bernard Matthews Turkey Drummers sat there on your plate. Joy! Now you wish you’d come in sooner! Well, I always felt that way anyway. Â In the days before Chicken McNuggets the humble Turkey Drummer (and even humbler Turkey Burger for that matter) were a staple part of most kids diets during the 1980’s. Â Made from bits of turkey reformed into shapes that roughly approximate a chicken drumstick, and covered in bread crumbs, they really were, as Mr. Matthews would put it, bootiful, and served with chips and baked beans you had a meal fit for a king! They are still available today, and I still love ’em, although don’t go near the new healthier versions Bernard Matthews has produced labelled with a Big Green Tick. Â They may look the same but they seem to have had all the moisture sucked out of them and taste like cardboard, whereas the originals were always fairly moist (probably due to a far too high fat content!). Just wanted to let all our regular readers know that from this week I am going to be reducing my writing on this site to just three days a week, plus the Saturday Survey. I’ve decided to do this as I have a few ideas that I would like to implement for this site which I don’t currently have the time to look into, so my hope is that by sacrificing a couple of entries a week I can address these ideas a bit sooner and improve this site even more. I’d also like to take this opportunity to ask you all if there is anything you feel is missing from this site, whether it be a write up of a particular toy or tv show, or something much bigger. I’m really interested to know what you’d like to see here in the future. I brought to your attention this week the fact that in the UK there are two different sweet manufacturers making confections with the name of Refreshers. Â If you find this a little confusing go take a look at my post on Refreshers to refresh your memory (groan), then come back here and let us know which variety you think is best. Which type of Refresher sweets do you favour? In 1983 the US videogame market suffered a huge crash, mainly due to too many low quality games and consoles being released with too few customers willing to buy them. Â Many videogame companies went bankrupt, and for a time it looked as if the home videogame market might dry up completely, at least in the US anyway. Across the globe in Japan at this time Nintendo were getting ready to launch their new home system which was called the Family Computer, or Famicom for short. 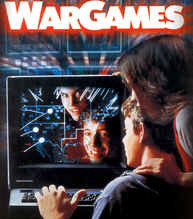 Â This was a videogame system that could also be expanded to provide computer like functionality with add ons such as a keyboard and software including a version of the programming language BASIC. The Famicom didn’t do very well initially, mainly due to the fact that the first revision of the hardware was unreliable, but a redesign and a product recall later, these issues were solved and the Famicom rapidly became the most popular system in Japan. 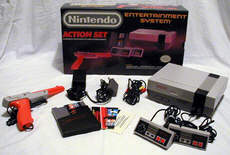 Â Unsurprisingly then, Nintendo decided it was time to look further afield, and so performed a further redesign and simplification of the Famicom to produce what we in the western world now know as the Nintendo Entertainment System, or NES. I’m sure it was by no means the first volcano to erupt during my life time, but the Mount St. Helens eruption in March 1980 was the first I remember. Â For someone coming from the UK the closest I ever got to a volcano was reading about them in books, so when Mount St. Helens erupted this was my first chance to see how truly destructive a volcano could be. Mount St. Helens had lay quietly since the 1850’s but 130 odd years worth of liquid rock magma had been building up beneath the surface. Â In early March 1980 there were a number of earthquakes which were to herald the beginning of the eruption, until on May 18 the pressure got too much and the volcano exploded. The explosion was so great that tons of dust and rubble were shot over 2km into the air, and the peak of the mountain was completely destroyed, leaving behind a crater over 70m wide. 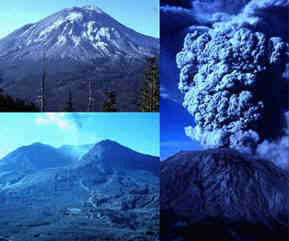 Â Over the next few weeks the volcano would continue to erupt, with the crater eventually becoming 365m wide and 150m deep.